Legalization of medical marijuana has made its sale and consumption increasingly sophisticated. Nowadays, walk into any dispensary and there are a variety of "top-shelf" strains that go by many names, including Northern Lights, Girl Scout Cookies, Trainwreck, and Purple Urkle. Marijuana is also dispensed in edible form (marijuana-infused brownies, candies, crackers, and drinks), oils, and tinctures. For some time, scientists questioned whether various strains of herbal marijuana are in fact different from pure-cannabinoid (pharmacological) preparations like Marinol or Nabilone. More recent research suggests that on a molecular level, scores of indica, sativa, and hybrids are in fact distinct from pharmaceutical preparations. However at this point, the exact physiological and psychotropic effects of different types of marijuana seem to be more subjective. In other words, although distinct, we don't know the exact effects of different types of marijuana, including strains of indica and sativa, the two main subspecies. The two principal psychoactive components in marijuana are delta-9-tetrahydrocannabinol (THC) and cannabidiol (CBD). Of note, metabolic fingerprinting (gas chromatography) has identified various other minor cannabinoids and terpenes which may further contribute to "highs." The effects of these other compounds have yet to be elucidated. All this being said, ultimately, the CBD/THC ratio is higher in sativas than it is in indicas. In addition to chemical differences, the physical appearance of sativas and indicas differs, too. Sativa plants are taller and more highly branched; whereas, indica plants are shorter and grow broader leaves. Of note, marijuana users typically smoke "bud" or marijuana flower. Interestingly, marijuana plants grow in various shades of green. In part, research on cannabis is limited—in other words, no large randomized-control trials have been performed—because the U.S. government discourages such research and poorly funds any such initiatives. Instead, people tend to rely on the Internet, friends, or dispensary personnel. Equally important, few marijuana dispensaries test product for quality and reproducibility—specifically, CBD/THC ratios. With respect to specific medical conditions, survey respondents felt that indicas help with nonmigraine headaches, neuropathy, spasticity, seizures, joint pain, and glaucoma. With respect to medical conditions, survey respondents expressed sativa preference only for treating weight loss. 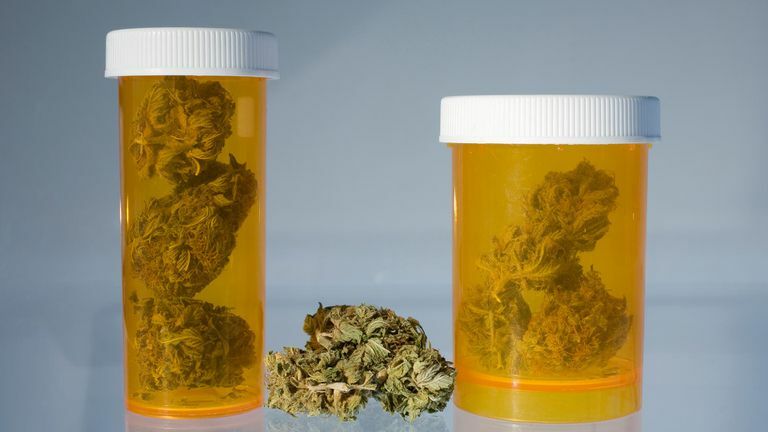 Online marijuana users expressed no difference between indicas and sativas when addressing HIV infection, migraines, multiple sclerosis, cancer, muscle pain, arthritis, fibromyalgia, trauma, orthopedic problems, and other painful conditions. With respect to symptoms, respondents expressed indica preference for pain management, help with sleep, help with sedation, and a "good high." With respect to symptoms, respondents expressed a sativa preference for enhancing energy. Researchers concluded that indicas were preferred when treating medical conditions; whereas, sativas were preferred for recreational use (a finding that gels with popular belief). Please keep in mind that the findings presented in this article are intended only to provide food for thought. The science underlying the treatment of medical conditions and symptoms with marijuana in general needs further research and is in its infancy. Moreover, the science underlying species-specific treatment (indica versus sativa) needs even more research and is merely at conception. As far as I can tell, from a physiology perspective, nobody has yet looked at how hybrids (indica- or sativa-dominant strains) differ. Nevertheless, purveyors of marijuana do tend to recommend different types of marijuana for different medical conditions. Thus, any such recommendations should be taken with a grain of salt. In sum, when people give advice on the effects of different types of marijuana, this advice is likely subjective and based on anecdote. Nobody really knows exactly how different types of marijuana interact with the body and mind. Moreover, it's often unknown to marijuana vendors themselves how potent any strain really is. Fischedick et al. Metabolic fingerprinting of Cannabis sativa L., cannabinoids and terpenoids for chemotaxonomic and drug standardization purposes. Phytochemistry. 2010. Pearce DD et al. Discriminating the Effects of Cannabis sativa and Cannabis indica: A Web Survey of Medical Cannabis Users. The Journal of Alternative and Complementary Medicine. 2014.